Booker is back in NY after a busy road trip. Keep your eyes peeled for our newest BT series in North Carolina — coming in the near future. Also, a big congrats to Paulo Henrique Testolini, one of our editors here on the Sri Lanka series. 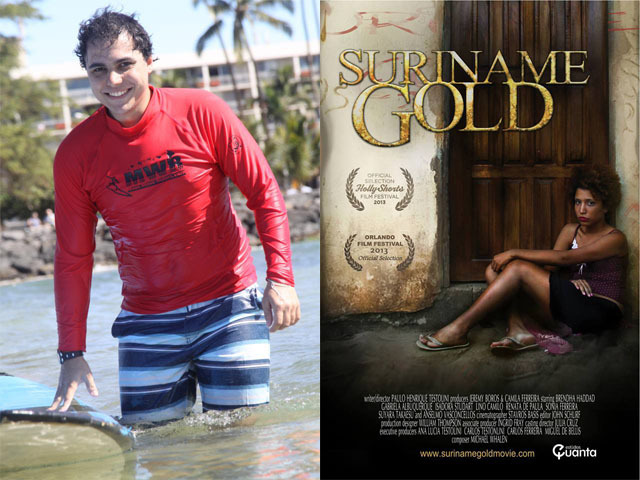 His short film, Suriname Gold, was selected by the HollyShorts Film Festival! A local restaurant owner told us that you were here in Transylvania County, NC. Wish we had met you! But mostly hope that you enjoyed your time here. We look forward to your stories! Us too!! Visit North Carolina gave us wonderful ideas of places to see and we had an amazing time! Please sign up to our newsletter at info@bookertravels.com so you can receive an announcement when we start posting our episodes from the trip. Also, check out National Geographic’s Intelligent Travel blog for Booker’s article to come. Thanks for getting in touch!